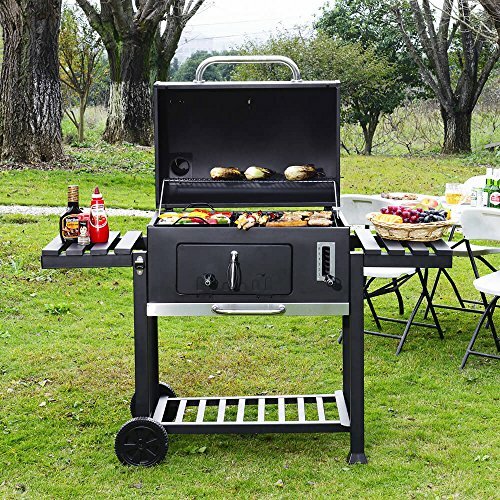 Sausages fresh from the grill and the aroma of juicy steaks hanging in the air: A tried-and-true recipe for a fun-filled grilling evening. 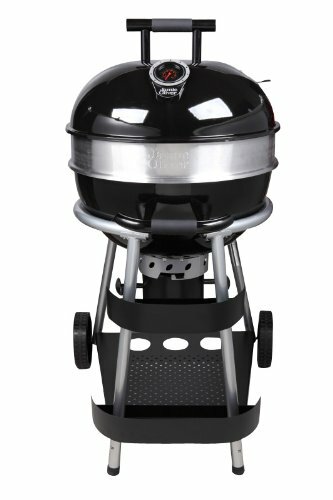 The XXL Charcoal grill is the perfect companion for real BBQ fun whether on warm summer nights or during the colder months. 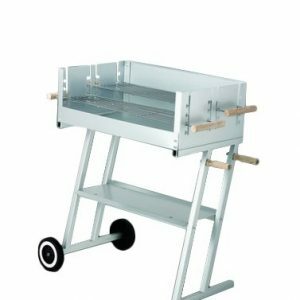 The XXL grill offers a broad range of possibilities for grilling and turns every barbecue into an event. 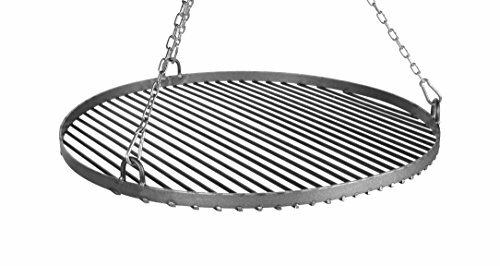 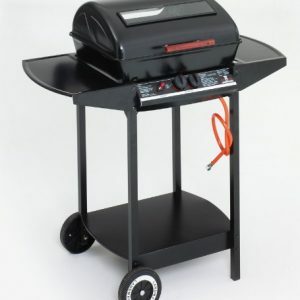 The American-style grill cart features a coal tray with six-fold variable height adjustment for perfect control of the grilling temperature. 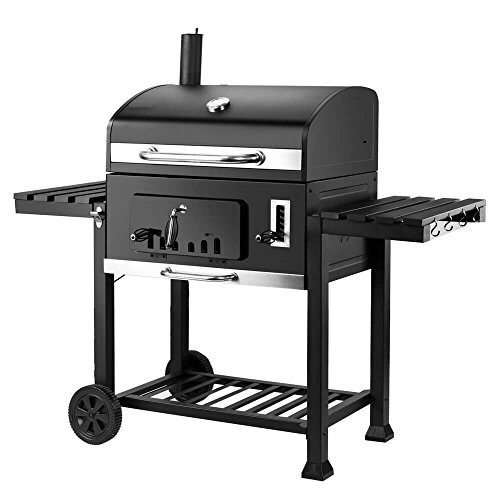 Adjust the distance between the coals and the grill rack to adjust the cooking temperature for your food. 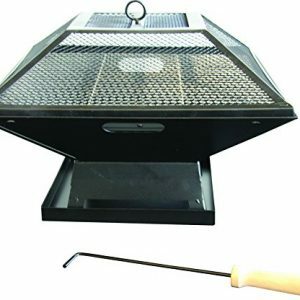 The lid allows you to enclose the grill surface, trapping heat inside the grill with your food. 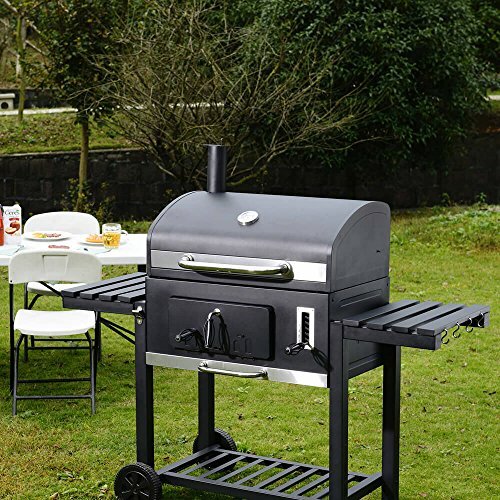 Similar to a convection oven, this means your food cooks evenly on all sides. 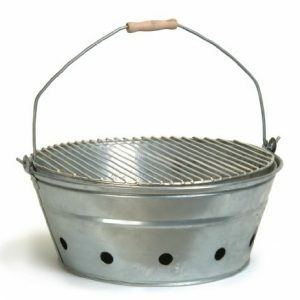 Special air vents ensure even air circulation during grilling and prevent the coals from going out while the lid is closed. 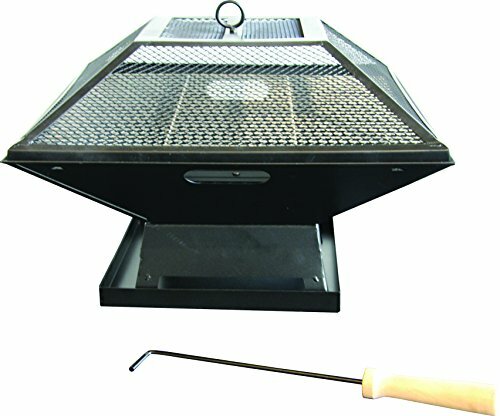 The smooth-action lid makes indirect grilling simple – a cooking method where the food lies in a enclosed space, not directly above the flame. 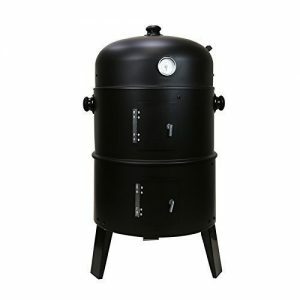 Thanks to its flue, the XXL is also perfect for smoking food. 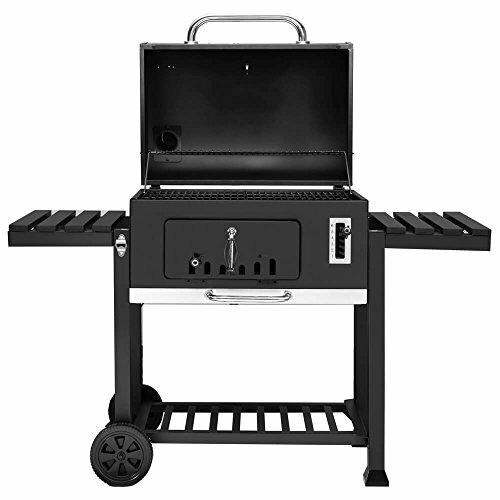 Easily monitor the temperature inside your grill with the built-in lid thermometer and know exactly when to add more charcoal so your barbecue lasts long into the evening. 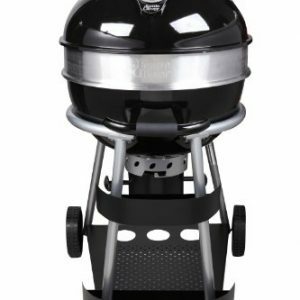 The XXL can be tipped to the side and rolled around, making it especially handy and convenient. 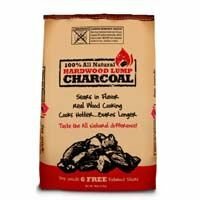 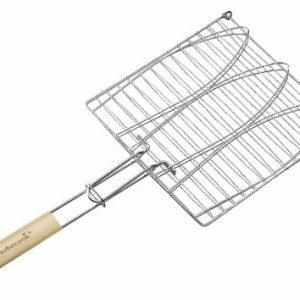 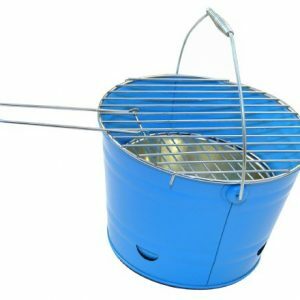 This makes the product ideal for flexible BBQ fun. 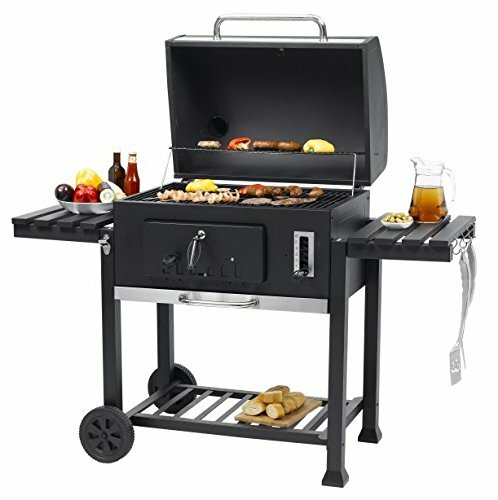 Whether on your patio or balcony – this grill cart cuts a fine figure everywhere. 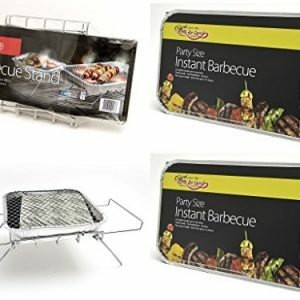 In addition, both side trays can be folded down, which makes it easy to store the XXL away and save space for periods of disuse. 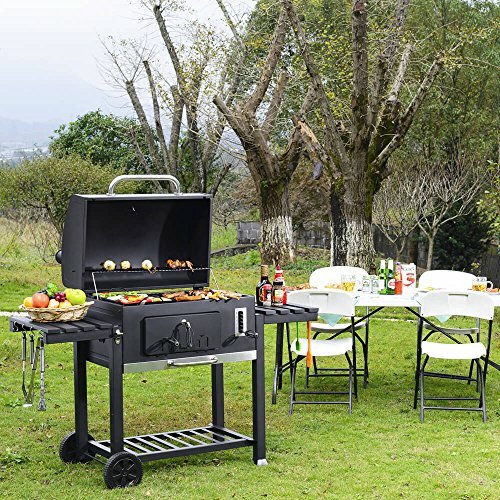 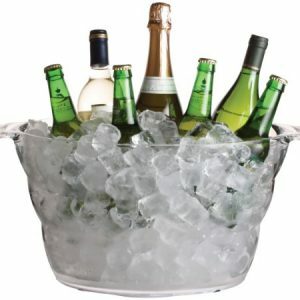 In addition to the above-mentioned features, other small features – such as the bottle opener and utensil hooks – make the XXL grill the ideal BBQ companion!